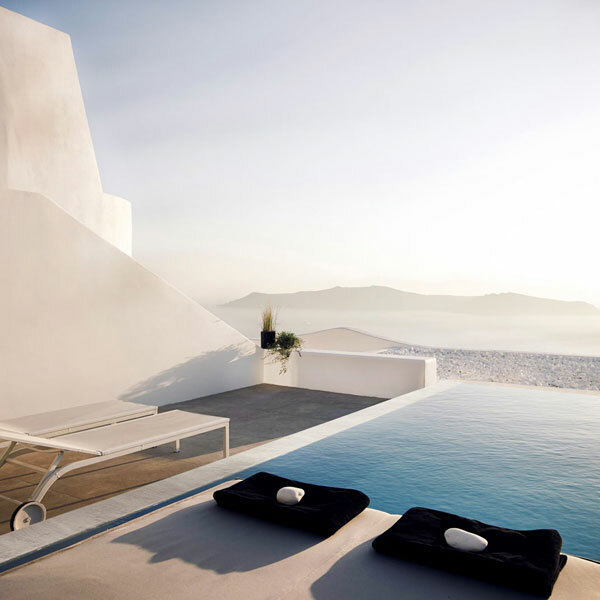 Cavo Tagoo, like most of the best hotels on Santorini, isn’t just a casual B&B at the beach. 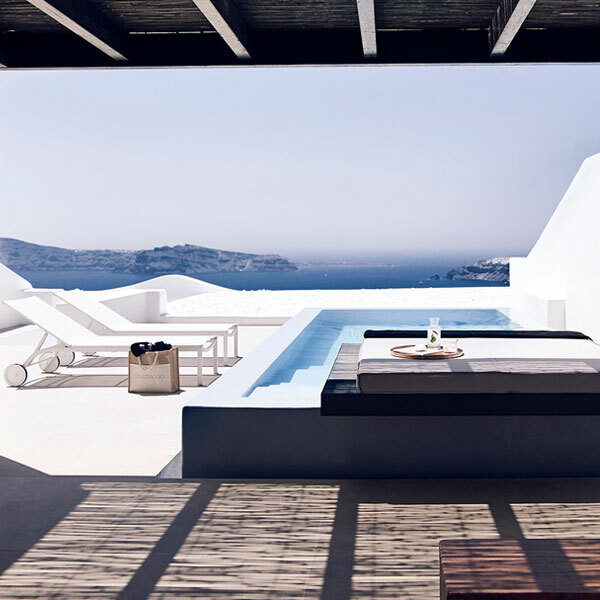 It’s a stunner of a resort, complete with dramatic whitewashed architecture, five-star amenities, a seductive open-air bar and restaurant that’s a destination in itself. The owners know what they’re doing. 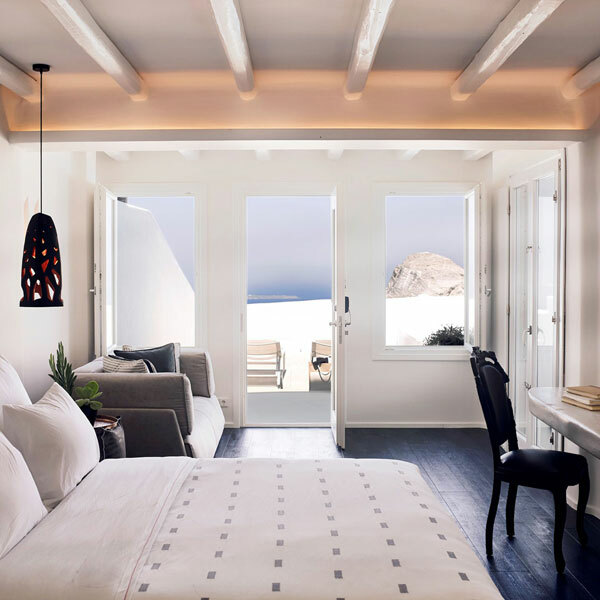 The flagship location of the Cavo Tagoo, just a hop, skip, and a jump away on the island chain, is considered one of the best hotels on Mykonos. 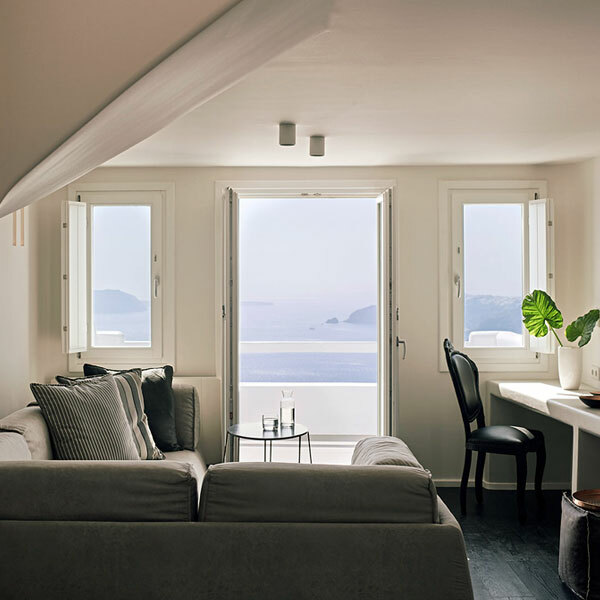 They have a formula that works — Cycladic minimalism, to borrow their phrase, a killer cliffside location, an air of exclusivity, a preternaturally hip and youthful staff — and they’ve repeated it here. 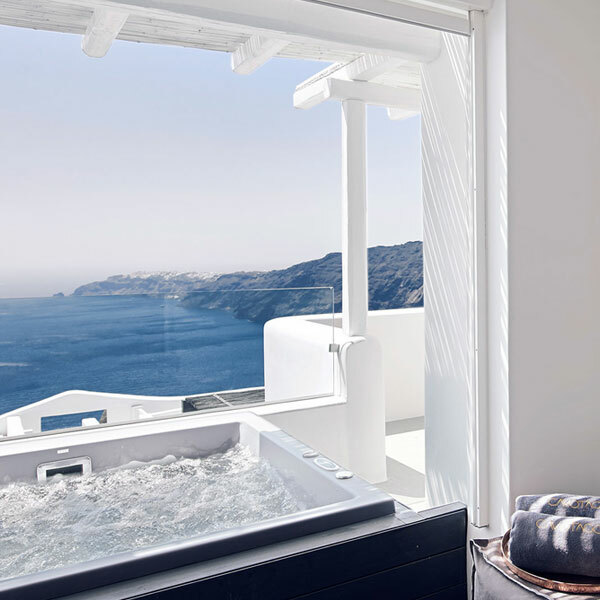 Cavo Tagoo Santorini doesn’t have any standard guest rooms, only suites. 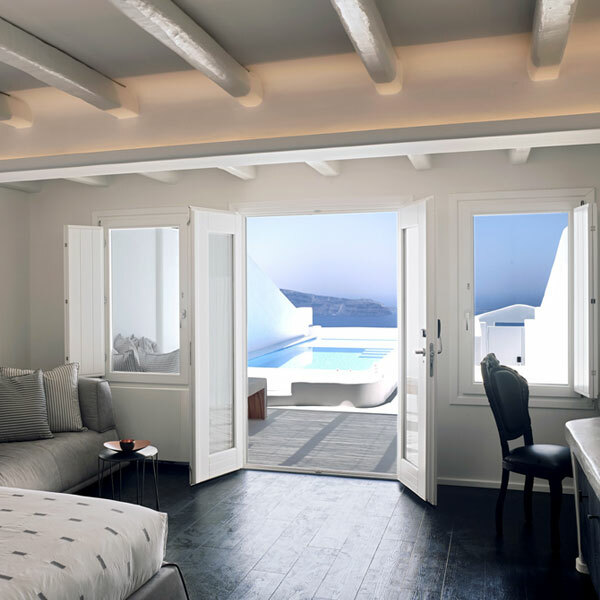 And those suites deliver the wow factor. 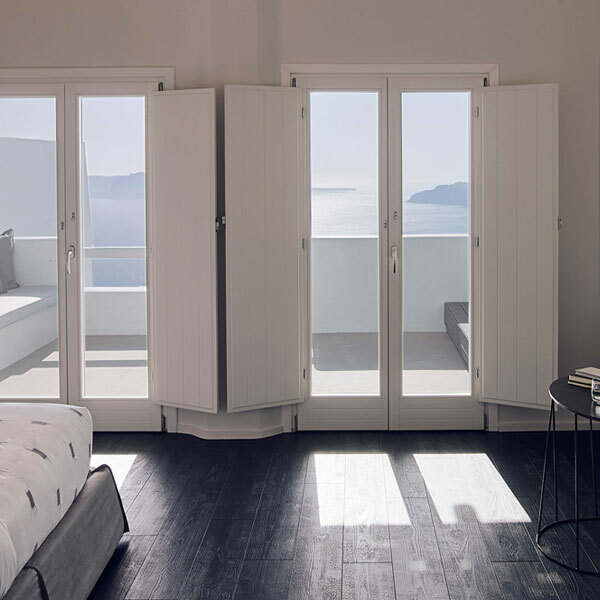 Even the most basic option is sleek and spacious, bathed in natural light and featuring a Jacuzzi and a private balcony or terrace. 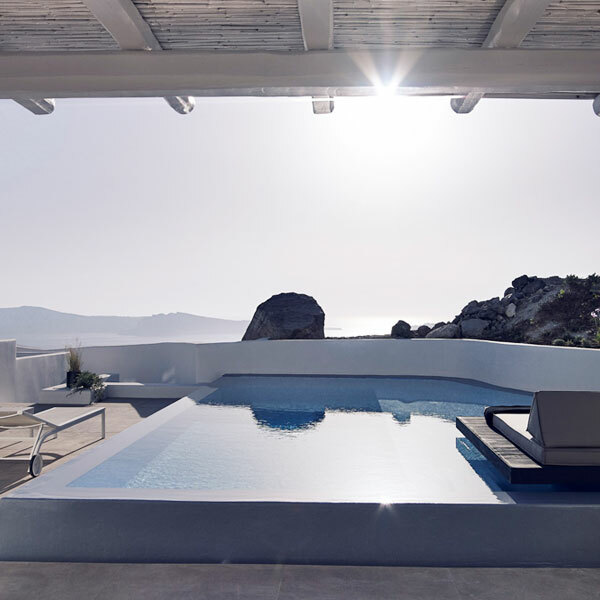 Note the French doors, the copper sink, the potted plants — there’s beauty in the details, which double as welcome reminders that you’re on a Mediterranean island, not somewhere in the Caribbean. Standard amenities include 43-inch flat-screen TVs and free wi-fi. 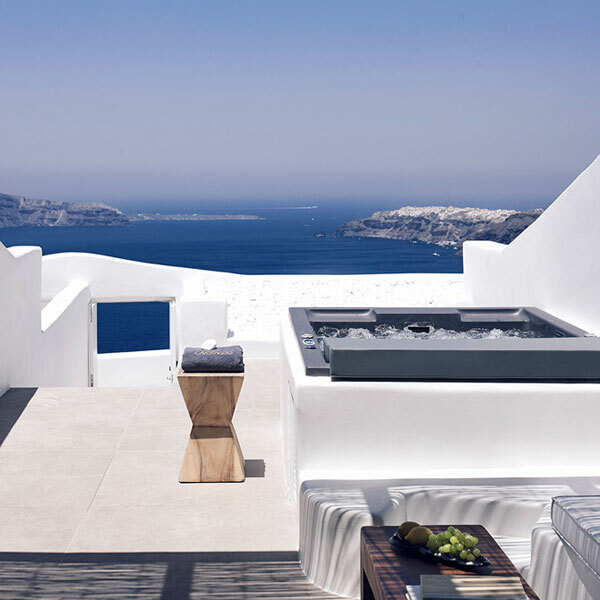 Moving up the scale, the suites get downright lavish, with wide terraces and private plunge pools. 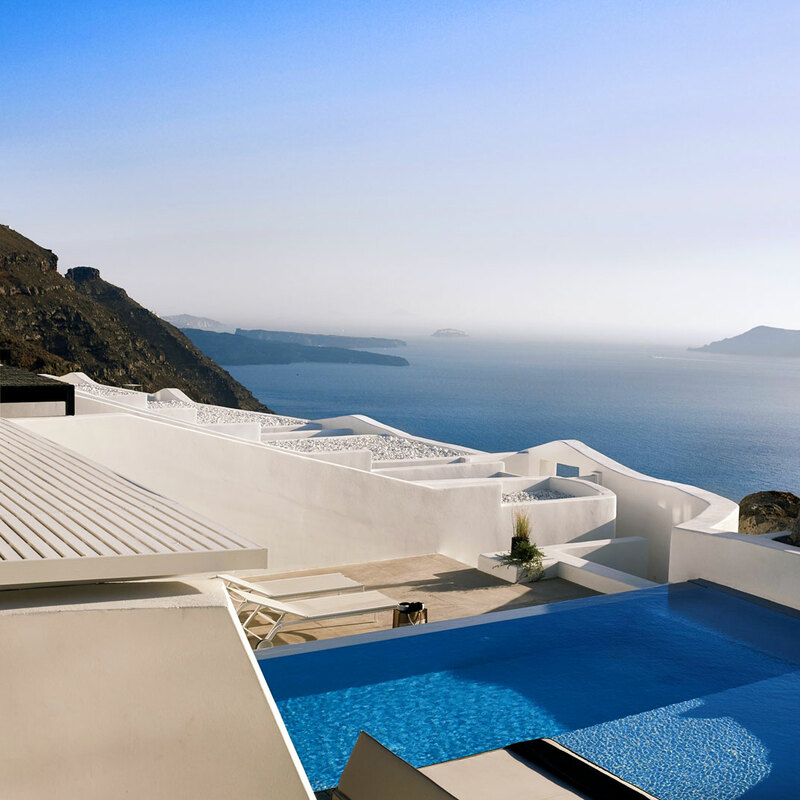 The views over the caldera are equally enchanting from Ovac, the hotel’s signature restaurant, or from the daybeds at the open-all-day pool bar and lounge. You could see the sunset from anywhere on the island. But it looks even better from here. Pets allowed. This hotel is open seasonally from April-October.